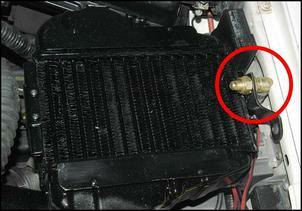 Thinking about adding a Do-It-Yourself intercooler spray to your car? Not sure what pump to use? Well, we’ve done the legwork for you! In this two-part series we’ll test the output pressure and flow of ten second-hand OE water pumps. We’ll also check each pump’s start-up and continuous current draws so you can chose the appropriate switches, relays and fuses. An Intercooler Spray – Why Bother? An intercooler spray works on the principle of water droplets evaporating on the intercooler core surface. As the water evaporates on the core, it absorbs a portion of charge-air heat. This increases the density of air entering the engine, improving power and reducing the risk of detonation. The effectiveness of an intercooler spray is largely determined by the water droplet size – a very fine water mist will evaporate much more quickly, absorbing much more heat than a system generating large droplets. Note that this is a key point when it comes to selecting an intercooler spray pump – water spray atomisation is best with a very high pressure pump. For more on IC water spray systems see "Intelligent Intercooler Water Spray - Part 1"
Each of our ten pumps was assessed with a simple test rig. A relatively large Mitsubishi Galant windscreen washer bottle was chosen as the water reservoir for each unit. The Galant’s water outlet is big enough to avoid causing restriction and is designed to accept a typical late-model pump. Other pumps required a suitable step-down adaptor. 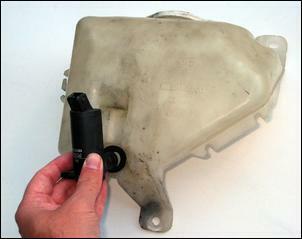 Each pump was wired directly to the positive and negative battery terminals of a vehicle's battery. The pumps were switched on/off using a high-current switch. To determine the correct polarity of the pumps which weren’t marked, we tested their output water pressure with power and earth wires in both orientations. The orientation that delivered the highest output pressure was deemed correct. 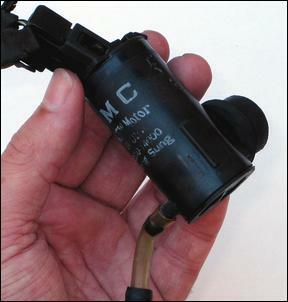 Note that none of the pumps were damaged when connected with reverse polarity. The maximum water pressure output of the pumps was tested with the vehicle engine running and with 14.2 volts available at each pump. This voltage was routinely checked with a multimeter to ensure consistent results. This photo shows our test rig set-up. As you can see, the outlet of each pump was connected to a tried-and-proven Spraying Systems TX4 Conejet nozzle. 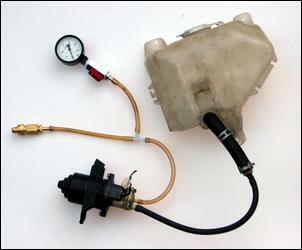 A T-piece between the pump and nozzle connected to a 0 – 60 psi pressure gauge. Note that all of the water pumps generated the same output pressure regardless whether they were connected to the Spraying Systems nozzle or the outlet hose was completely blocked. This means our recorded pressure figures are the highest that can be achieved with each pump - you won’t be able to create a higher pump pressure using any other type of nozzle. Next, we tested the water flow of each pump while operating with the Spraying Systems nozzle. To measure the water flow, we ran the pump for a minute and captured the volume of water discharged from the nozzle. Note that our catch container (another washer bottle) was sealed at the top to ensure none of the water mist from the spray nozzle could escape and potentially affect measurements. The water captured in the catch container was then emptied into a measuring cup. The current draw of each pump was also sampled during our test. We used a Fluke 189 multi-meter to record each unit’s current draw on start-up and in continuous operation. Note that the pumps draw a large gulp of current on start-up – an important point to consider when sizing the pump’s supporting electrical system. 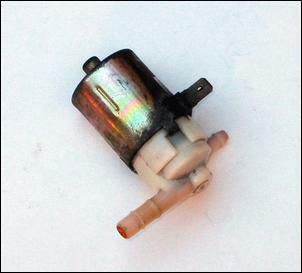 The Mitsubishi TH Magna windscreen pump is a 12V DENSO ‘060210-1480’ unit as found in many cars. 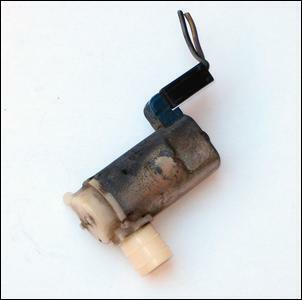 Like most modern washer pumps, this unit has a relatively large (17mm OD) inlet fitting that pushes into a rubber grommet in the vehicle’s washer bottle. The pump’s outlet fitting has a smaller 5.5mm OD. The main body of the Magna pump is 60mm tall and 30mm diameter – a typical size. In terms of water pressure and flow, the Magna pump is a mid-runner in the field. With the Spraying Systems nozzle fitted it can deliver 29 psi outlet pressure at a flow rate of 180ml per minute. 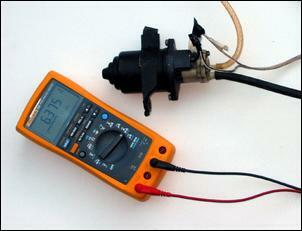 Note that this is achieved a constant 14.2 volts – the test voltage used for each pump. Peak current draw on start-up is 5.2 amps, while the continuous draw is 2.7 amps. An average unit in every regard. Connected to our Spraying Systems test nozzle the Hyundai Excel pump can deliver 29 psi maximum pressure at a flow rate of 180ml per minute (the same as the Magna pump). Current draw is also the same as the TH Magna pump. So again this is another middle-of-the-road performer. This one is a grunter. It doesn’t look much different to the Magna and Excel pumps but the VT-series Commodore unit offers far greater maximum water pressure and flow. Connected to the Spraying Systems nozzle, the VT pump delivers a whopping 38 psi output pressure at a flow rate of 250ml per minute. That’s 31 percent more pressure and 38 percent more flow than the two previous pumps that look almost the same... This pump draws 7.2 amps on start-up and settles back to 4.0 amps. The Holden VT pump can be identified by three printed characters on the body which appear to spell ‘OKU’ together with a serial number 051/0006. The main body of the pump is also 8mm longer than the similar looking Magna and Excel pumps. It’s another pump that uses a 5.5mm OD outlet fitting and 17mm OD inlet that’s designed to push into a rubber grommet in the washer bottle. A widely available pump that gives brilliant performance. 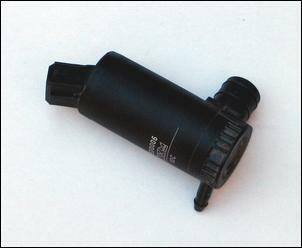 The EA Ford Falcon windscreen washer pump is a compact unit. But does it deliver ‘big pump’ performance? This pump struggles to deliver a mere 16 psi water pressure to our Spraying Systems nozzle and, as a result, water atomisation is very poor. In terms of water flow, the EA pump pushes just 135ml per minute while operating at 14.2V. Current draw is relatively low – 3.3 amps on start-up and 2.1 amps constant. The brand-less EA pump uses a metal body with a 29mm diameter and 57mm overall height. 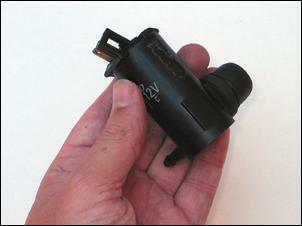 Note that this is the first pump on test to use an old-style small diameter inlet fitting – just 7mm OD. The outlet fitting is 5.5mm OD. It doesn’t matter if space is limited - steer clear of this unit! Here’s the second Ford pump of our test – and it’s another poor performer. Pulled from a 1986 Ford Fairlane and plugged into our Spraying Systems nozzle, this pump generates a maximum water pressure of 22 psi. In this configuration, the pump flows only 165ml per minute – better than the EA pump but that’s not saying much... This unit draws 4.7 amps on start-up and 2.3 amps constant. Like the EA Falcon cousin, the Fairlane pump has a metal body but it follows a similar design to the later-model units. At 64mm tall, 30mm diameter and with a 17mm inlet fitting it’s a direct swap for the TH Magna, Excel and VT Commodore pumps. But why would you bother? Stick around. In Part Two - the final - we’ll test the five remaining pumps, summarise the results and name our winner!